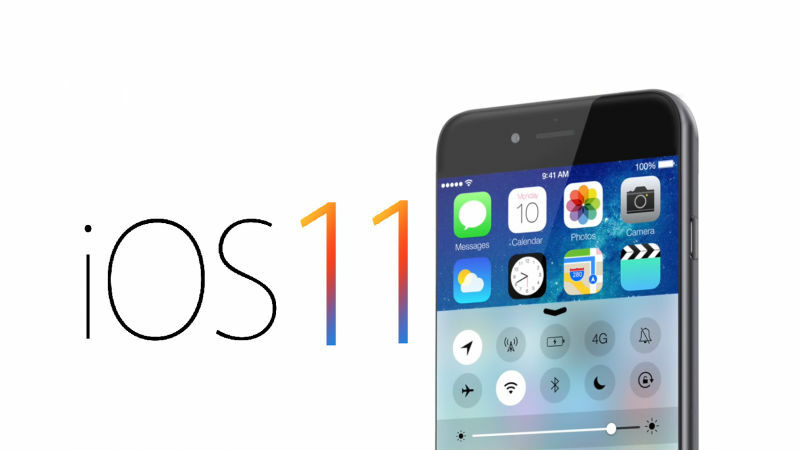 iOS 11 is the much awaited operating system that we will get to see in the upcoming and older devices from Apple. It was recently unveiled in June at the WWDC 2017 event held in San Jose, California, USA. And with that, the iOS 11 beta profile is now available. So, what are some of the changes that we can expect from the new operating system? So, let us check out what have we got to know from it what is new and different with this new flagship operating system from the tech giant. Also Check : iMessage for PC Windows 10 : How to Download on Desktop? When you use iOS 11 for iPhone, you will see that the Control Centre is not what it looked like so far. It has been revamped and given a makeover. It has become extremely customizable. In iOS 11, it will appear on a single page and will have shortcuts for brightness, speaker volume, flashlight, etc. This will definitely make it more functional than it has been till iOS 10. You can also customize it to add easy access to other features such as Screen Recording or Do Not Disturb While Driving. Also read : Will iPad Pro 2 Get Equipped with Metal Unibody? The App Store is also going to get a new look this time. In-app purchases can now be discovered from the App Store itself. It will show up on an app product page. More focus on games will also be given, which will have its own category now, separate from apps. However, Top Grossing Chart will no longer be seen. But things are not too bad too because Top Free and Top Paid charts will still remain. Overall, the new look is quite impressive. With good things, come certain bad things as well. The iOS 11 Beta profile showed us that there could be some major drop in the battery life with the new operating system. Earlier, we have seen, the battery lasting for an entire day, but now it can go off by afternoon. Also, the performance has become a bit static. Expect some lagging in the opening and closing of certain apps. Although, the only good thing that we can hope for is that it is just the Beta version. So, there are huge chances for it to improve when it does arrive come this fall. Apple’s indigenous ‘Intelligent Assistant’ Siri will be smarter than ever before as we have found out in the iOS 11 beta profile. Not only can it speak to translate foreign languages such as German, Italian, French, Spanish, and Mandarin, but it can also display the translation on your device too from now on. Another interesting addition is that it will now let users access it by typing to it too and not merely by talking to it only. So, what do you think guys? Will iOS 11 live up to your expectations? Will it be the best operating system that the company has developed so far? What are some of the changes that you are hoping Apple brings with the new operating system? Put in all your insightful observations in the comment box. Bookmark this page to know more about the iOS 11 Beta profile.